Gaza Doctor Izzeldin Abuelaish Two Years After Israeli Attack that Killed 3 Daughters & Niece: “As Long as I am Breathing, They are with Me. I Will Never Forget” | Democracy Now! Palestinian gynecologist. His three daughters and his niece were killed on January 16th, 2009, when his home in Gaza was shelled by Israeli tanks. He is author of I Shall Not Hate: A Gaza Doctor’s Journey on the Road to Peace and Human Dignity. AMY GOODMAN: Yesterday marked the second anniversary of the end of Israel’s assault on Gaza. Dubbed “Operation Cast Lead,” up to 1,400 Palestinians and 13 Israelis were killed in the 22-day assault between December 28th, 2008 and January 18th, 2009. More than half the Palestinians killed were civilians, over 300 of them children. Today we spend the rest of the hour remembering the story of just one Palestinian family behind those numbers. It’s one of the better known tragedies of the attack, in part because it unfolded live on Israeli television. Dr. Izzeldin Abuelaish is a well-known Palestinian gynecologist who has spent years working in one of Israeli’s main hospitals. He crossed into Israel daily through the Erez checkpoint from his home in Jabalia refugee camp in Gaza. During the assault, Dr. Abuelaish was interviewed regularly on Israeli television and radio. Not even Israeli journalists were able to report independently from within Gaza, making Dr. Abuelaish one of the few Hebrew-speaking witnesses who told of the Palestinian suffering under fire. On January 16, 2009, a day and a half before the official end of the war, Dr. Abuelaish’s home was shelled twice by Israeli tanks. His three daughters were killed — 21-year-old Bessan, 15-year-old Mayar, and 13-year-old Aya — as well as his niece Noor. Another daughter, Shatha, and his brother were also badly injured. Moments after Dr. Abuelaish discovered the bodies of his children, he called his friend Shlomi Eldar, a correspondent at Israel’s Channel 10 News, for help. Eldar happened to be in the studio at the time. Democracy Now! 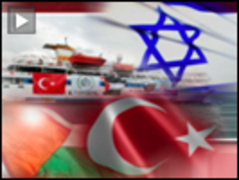 producer Anjali Kamat narrates the exchange that was broadcast live on Israeli television. The anchor calls on the Israeli Defense Forces to allow ambulances to get to the doctor’s family. Shlomi Eldar then excused himself from the show, took off his earpiece and rushed off the set to get help to Dr. Abuelaish. AMY GOODMAN: That was the live broadcast of Israel’s Channel 10 News on January 16, 2009. No ambulances ever reached Dr. Abuelaish’s home, which was surrounded by Israeli tanks. He and the surviving members of his family walked a quarter of a mile carrying the dead and wounded through the streets. They eventually found an ambulance to take them to the closest hospital. Standing outside, a grieving Dr. Abuelaish kissed the forehead and hands of his children as they were strapped into stretchers. He addressed a news camera at the scene in Hebrew. DR. IZZELDIN ABUELAISH: [translated] What happened? Everybody in Israel knows. They know that I was talking on television and on the radio, that we were at home, that there are innocent people, 25 people, here. Suddenly, today, when there was a hope for a ceasefire, in the last day that I was talking with my children, suddenly they bombed us. That’s how you treat a doctor who takes care of Israeli patients? Is this what’s done? Is this peace? AMY GOODMAN: Israeli TV correspondent Shlomi Eldar arranged for the evacuation of Dr. Abuelaish and his only surviving daughter, 16-year-old Shatha, who was badly wounded. The next day, Dr. Abuelaish spoke at a news conference at the Sheba Medical Center in Tel Aviv. Angry Israelis present at the hospital heckled him while he spoke. DR. IZZELDIN ABUELAISH: I want them to know that I am from Jabalia camp. I am Palestinian. And we can live together. And no difference between Palestinian and Israelis. Within the borders of the hospital, all are equal. Why not to be outside equal? Why not? My children — my children were involved in peace. In peace, they participated in many peace camps everywhere. They were weaponed when they killed them. They were weaponed not by arms; they were weaponed by love. AMY GOODMAN: Dr. Izzeldin Abuelaish speaking two years ago. Of his six daughters, three were killed. One was critically injured, lost her eye. His tragic story has come to symbolize Palestinian suffering during Israel’s assault on Gaza. His story made headlines around the world, and he was nominated for the Nobel Peace Prize. Dr. Abuelaish has just published a book. It’s called I Shall Not Hate: A Gaza Doctor’s Journey on the Road to Peace and Human Dignity. He flew into New York for an interview in our studio from Toronto, Canada, where he has been practicing and teaching. I began by playing for him the tape of the day his voice was broadcast on the Israeli airwaves, and I asked him to remember that day for us. AMY GOODMAN: It is two years later. As you listen to this, it brings us all back. It’s painful to even play it for you. Tell us about this day two years ago. AMY GOODMAN: Dr. Abuelaish, tell us what happened that day, on January 16th. DR. IZZELDIN ABUELAISH: January 16th, we were expecting the ceasefire, day before or after. And a human life doesn’t need negotiation. It’s an urgency when it comes to human life. To save, we need to act immediate. And I was supposed to be interviewed live by Oshrat Kotler about women’s health and the situation in Gaza. And we were planning our future. Where can I be with my children? As I was fed up, and it’s time to be with my children, not to travel. I want to see them every day. And that’s the message, what I want to tell everyone. Don’t say “tomorrow.” If you can do it today, do it today. Spend as much as you can of your time with your beloved ones. You don’t know if tomorrow is coming or not. We were planning to go to Toronto. And then, after I left their room, the first shell came. AMY GOODMAN: What time was it? DR. IZZELDIN ABUELAISH: Four-thirty p.m. It’s the same time of the time when their mother passed away, afternoon. Just four months’ period, exactly. AMY GOODMAN: She had died of leukemia? DR. IZZELDIN ABUELAISH: Of leukemia. I didn’t imagine it. I thought the shelling from the surrounding, because we were surrounded by shelling everywhere. I didn’t think that it’s my house. But when I saw the smoke, the dusk, the chaos within the house, I went inside the room. Where is Bessan? To see them, I can’t recognize Bessan, Mayar, Aya, Noor. Just to see Shatha in front of me with her eye on her cheek and her fingers. Mayar, I want to see her. Where is her head? Bessan, decapitated, blood, parts. I started to think of saving Shatha, not to see her blind. AMY GOODMAN: Shatha was how old? DR. IZZELDIN ABUELAISH: She was 17. She was in her high school. And at that moment, I decided either to save her eye, or I am ready to accept her to be with her sisters, but not to be disabled. That’s why I called my friend Shlomi. And it was God’s bless that he was at the studio with Oshrat Kotler, and it was broadcasted live to show the craziness of humanity in the 21st century. AMY GOODMAN: I wanted to play a clip of when my colleague, Anjali Kamat, and Jacquie Soohen came to Gaza, and you gave them a tour of your house. This is Dr. Izzeldin Abuelaish. DR. IZZELDIN ABUELAISH: We are standing in the scene of the tragedy, in the place where four lovely girls were sitting, building their dreams and their hopes, and in seconds, these dreams were killed. These flowers were dead. Three of my daughters and one niece were killed in one second on the 16th of January at a quarter to five p.m. Just a few seconds, I left them, and they stayed in the room — two daughters here, one daughter here, one daughter here, and my niece with them. The second shell, it penetrated the wall between this room to enter the other room. Look. This is the room with the weapons, where this room was fully equipped with weapons. These are the weapons which were in this room. These are the weapons. These are the weapons: the books and their clothes. These were the science handouts. There, you see, these are her handouts for the courses that she studies, which is stained with her blood. It’s mixed with her blood. These are the books. These are the weapons that I equipped my daughters with: with education, with knowledge, with dreams, with hopes, with loves. I am a gynecologist who practiced most of my time in Israel. I was trained in Israel. And I devoted my life and my work for the benefit of humanity and well-being, to serve patients, not as someone else that you are delivering or helping choose. I am dealing with patients and human beings. We treat patients equally, with respect, with dignity, with privacy. Politicians and leaders should learn from doctors these values and these norms and to adopt them. This invasion, from the beginning, I said it’s useless. It’s futile. No one is winning. The innocent civilians, the Gazans, civilians, paid the price of this invasion, no one else. Military ways proved its failure. We should look for other ways to give each other its rights. We don’t want to speak about peace. Peace is — you know, this word lost its meaning. We should find something else: respect, equality, justice and partnership. That’s what we should look for. AMY GOODMAN: You have been watching Izzeldin Abuelaish or listening to Dr. Abuelaish, the Palestinian doctor who lost three daughters and a niece on January 16th, 2009: Bessam, 21; Mayar, 15; Aya, 14; Noor was 17, his niece. On this day, two years later, describe what was the Israeli government’s response to your children’s killing. You are well known throughout Israel, a Palestinian doctor who works in Israel. You were updating people on the siege almost every day on television. AMY GOODMAN: As opposed to…? DR. IZZELDIN ABUELAISH: As opposed to be done immediate, to recognize that and to admit, to take responsibility from the first moment, because they shelled it. It’s not after one month. It’s the first day. AMY GOODMAN: Right. What did they say had happened? DR. IZZELDIN ABUELAISH: They tried to justify. We don’t need to justify. It’s better — we are human being, and it’s a human to err. But a mistake is a mistake if we didn’t learn from it, not to repeat those mistakes. They started to justify, to say there were snipers, the first day. The second scenario, there were militants. The third day, there were firing. And the fourth scenario, that they took shrapnels from my niece’s wound, and it was coming from Qassam rockets. Why? Please. AMY GOODMAN: That’s what they said. AMY GOODMAN: But it wasn’t true. DR. IZZELDIN ABUELAISH: Of course. Of course. And it took one month to investigate it. Doesn’t need investigation for one month. It has been shelled, 16th, and it’s known who shelled it. Please. “We made a mistake. We did it. And we are ready for responsibility.” This is the easiest way, to have the moral courage to admit responsibility. It will help all to move forward, not to deny. AMY GOODMAN: Tell us about your daughters. Bessam, 21? AMY GOODMAN: In Santa Fe. DR. IZZELDIN ABUELAISH: In Santa Fe. She said, “There, I realized how similar are we.” Can we learn from our children? AMY GOODMAN: You mean there, Israeli and Palestinian girls. DR. IZZELDIN ABUELAISH: Israeli, Palestinian, Jewish, Christian, Druze. They learned that they are similar. And that’s what we need to learn from our children, and to work for them. AMY GOODMAN: And tell me about Mayar, who was 15. DR. IZZELDIN ABUELAISH: Mayar, the smartest, the brightest girl. After once when I visited the school, she was number one in math in the Gaza Strip. If they have a math problem in their class, the students look at each other. They can’t — they say, “If Mayar was here, she is the one who is for it.” She was open-minded. She was the chairman of the students’ parliament, to represent them, to defend those girls. Aya was 14, who had planned to be a journalist, to be the voice of the voiceless, to think of others, to defend others, and to work for them. They were fighters for humanity, for peace. They were connected with others to feel the suffering of other children. And that’s what we need. AMY GOODMAN: And Noor, your niece? DR. IZZELDIN ABUELAISH: Noor, she was 17, 17 years old. She came for her fate. She was at the camp with her mother. But she said she can’t tolerate the life there — in a public space, 50, 60 people in one room, with shortage of everything. It’s intimidation, humiliation. She said, “I want to go there to be with my dad.” So she came and stayed with us. Just two days before, she came. AMY GOODMAN: And yet, your book, Dr. Abuelaish, is called I Shall Not Hate: A Gaza Doctor’s Journey on the Road to Peace and Human Dignity. You have been nominated for the Nobel Peace Prize. Your response has been remarkable. The response of Israelis to what happened to you? I mean, your cries for help were heard around the world in that conversation on Israel Channel 10 — not conversation, your wailing for your family. DR. IZZELDIN ABUELAISH: Those daughters, when I want to bring them justice, I must be healthy. And hate, as every one of us knows, it’s a poison. We don’t want to be injected with it. If you want to achieve a noble goal and cause, you must be healthy mentally, spiritually and physically, to defend your goals. AMY GOODMAN: Dr. Izzeldin Abuelaish’s three daughters and niece were killed in his home in Gaza when it was shelled by Israeli tanks on January 16, 2009, during the 22-day Israeli assault on Gaza. We’ll come back to our conversation with the Palestinian gynecologist in a minute. AMY GOODMAN: We return to my interview with the Palestinian doctor, Dr. Izzeldin Abuelaish. AMY GOODMAN: You have sued the Israeli government. Your statute of limitations is out on January 16th, so you have just sued. What are you demanding? DR. IZZELDIN ABUELAISH: Because they didn’t leave any alternative for me within two years. I was using and used every possible peaceful way, with Israeli ministers, Knesset members. Please, we need the truth and, to bring those daughters justice, apology, responsibility and the consequences of that. That’s what we want. It will be a new opportunity, a window of opportunity, for both nations, for the leadership to speak about the truth and to have the moral courage to move forward, not to deny. We need to take responsibility. So I asked for that, and I told, human life can’t be valued by money, and it’s time to give, not to take. Any compensation that comes, it will go for a foundation that I established, Daughters for Life, for health and education, for girls and women in the Middle East, including Israel. It’s time for women to take the lead and to practice their full potential and their role. That’s what I am determined. I want to see the plans of my daughters fulfilled by other girls. AMY GOODMAN: More than 1,400 Palestinians died in the Israeli siege of Gaza. Talk about what happened during that time. DR. IZZELDIN ABUELAISH: During that time, it was a crazy moment. Three weeks, no one knows about what happened. And the world was closing the eyes about what is happening in Gaza. Even for me in Gaza, we don’t know what is happening outside my house. Just with a radio, I used to listen. And Gazans became numbers. Human beings are not numbers. They have faces. They have names. They have hopes. They have dreams. Can we get from there to consider a human being as a human being, not numbers? And that’s what we need. Tell what happened, 16th of January, to open the eyes of the Israeli public, the international community, the Palestinians, that we are killing innocent civilians. AMY GOODMAN: How does it feel for you to come into the United States, Dr. Abuelaish, at this time? Then, it was the Israeli assault on Gaza. Your children were killed by a military that is armed and financed by the United States. DR. IZZELDIN ABUELAISH: It’s time to face each other and to speak. And it’s important to transmit the message. The Americans, the American Jews, Arabs, Muslims everywhere, we need to communicate and to speak. Words are stronger than bullets. And without communicating, without acting and meeting together, who’s going to solve? And I learned one thing: our enemy is our ignorance. We don’t know. We don’t know. And to know, we need to communicate and to explain face to face. AMY GOODMAN: The story of your life is remarkable, and you tell it very graphically in your book I Shall Not Hate. If you could just share with us where you were born, tell us in a nutshell, which I think is very much the story of the Palestinian people. DR. IZZELDIN ABUELAISH: I was born, raised and lived as a Palestinian refugee in the Jabalia refugee camp, deprived of what is called a childhood. I never tasted the childhood as millions in this world, which is man-made suffering. And this is the hope. It’s man-made. So we, as a human being, we can challenge those man-made challenges and not to accept it and to change it. I succeeded. AMY GOODMAN: Your father came from…? DR. IZZELDIN ABUELAISH: From a village called Houg, where Sharon’s farm is established. It’s close to Sderot. AMY GOODMAN: So, your land, your father, what he has a deed for, is actually known today as the Sharon farm, Ariel Sharon’s farm? AMY GOODMAN: The prime minister. DR. IZZELDIN ABUELAISH: The Abuelaish land. And in a sudden, to be a refugee, own nothing. But our parents, especially the Palestinian mother — she is the hero. From nothing, they pushed, encouraged the children. We lost everything, but we didn’t lose hope in the Palestinian children to be focused and to be educated. AMY GOODMAN: — your father afraid there would be an attack. DR. IZZELDIN ABUELAISH: They were exiled to leave, and they were forced to leave. And they were thinking it may take just a few days, and they will go back — these days, months, years, and now six decades. And even in the place where are we now, we are not safe, or we are not free. AMY GOODMAN: So, you grew up in the Jabalia refugee camp completely destitute. AMY GOODMAN: Your only escape ultimately was your education, what your parents pushed you to do. And you became a doctor. DR. IZZELDIN ABUELAISH: The Jabalia refugee camp, it’s the place which is close to my heart. I feel the good and the bad times in the Jabalia refugee camp. It’s the memory, it’s the roots, but encouraged me of not accepting this life, this suffering, and that we can change it. I succeeded. From nothing. From nothing. And that’s the message I want others — please, stand up, have hope, have faith, and act. AMY GOODMAN: How many of you lived in one room? DR. IZZELDIN ABUELAISH: We were — I remember, in the early days, the room, three by three meters, to have six, seven — one by one to be covered. In winter, we are attached together. That’s the life in the camp. We have no life. But we were determined, just breathing. AMY GOODMAN: Describe what it’s like to go through a checkpoint. I mean, for you as an adult, as a recognized doctor, renowned through Israel as a gynecologist working in Israeli hospitals, describe what it was like for you to go through checkpoints. And where were these checkpoints? DR. IZZELDIN ABUELAISH: These checkpoints, someone, when he sees it from far, he doesn’t imagine it, especially when I leave from Gaza to Israel, to pass through how many checkpoints. It’s intimidation. DR. IZZELDIN ABUELAISH: Just from the first gate to the last gate, it’s about 20 gates you pass through. DR. IZZELDIN ABUELAISH: Twenty gates. From one to the other, within one checkpoint, this is what is called Erez, a checkpoint. And you need to pass through that, electronized, with computerized cameras. You don’t see just doors open, and someone is telling by voice to cross or not. It took me — sometimes, if you are lucky, it may take one hour, two hours. And sometimes ’til the permits and the coordination is ready, it may take me, from Gaza to Tel Aviv, which is 45 minutes, it may take between two hours to four or five hours. AMY GOODMAN: And you’d even have the Israeli soldiers at the checkpoint asking you for medical advice about birth control and other issues. DR. IZZELDIN ABUELAISH: They know me. AMY GOODMAN: They knew you, and you — still it could take hours. DR. IZZELDIN ABUELAISH: And they know me, and I know them. I understand the security needs, but can we make human life easy, too? Not to intimidate, not to humiliate. That’s what we need. A checkpoint security, I understand it. But it is not in that way, not in that way. When I came from Jordan to my wife, who was gasping — she was dying. I went to see her before she dies. AMY GOODMAN: She died of leukemia? DR. IZZELDIN ABUELAISH: She died of leukemia. Took me more than 14 hours from Allenby Bridge to Sheba Medical Center. AMY GOODMAN: And how far is it? DR. IZZELDIN ABUELAISH: It’s one-hour drive. And to move from one checkpoint to the other, we need to put ourselves in the shoe of the other. What are we doing? And why are we doing that? And is it the right way? Or can we change course? AMY GOODMAN: Dr. Abuelaish, newly released classified U.S. diplomatic cables released by WikiLeaks reveal that Israeli officials openly told U.S. diplomats the aim of the blockade of Gaza was to keep Gaza’s economy on the brink of collapse. According to a November 2008 cable, Israel wanted Gaza’s economy to be, quote, “functioning at the lowest level possible consistent with avoiding a humanitarian crisis.” Can you describe the conditions? DR. IZZELDIN ABUELAISH: Gaza is collapsing. There is no life in Gaza. And that’s — Gaza is stigmatized by everything you like for yourself, but for Gazans, say no — no life, no hope, no work, no employment. And some people — it’s shame to say, we open the borders for food. Human life is not dependent on food. They are hungry for food, for employment, for freedom, for education, to taste their life and to feel that they are free in their life. That’s what we need. What do you think of a person living in a palace, and you provide him with the best types of foods. He doesn’t need the food. He needs the freedom. The most holy thing in the universe is a human being under freedom, freedom of poverty and occupation. AMY GOODMAN: So, what do you think has to happen right now? DR. IZZELDIN ABUELAISH: What to happen, that — to admit the rights of the Palestinians and to take active steps, and that there will never be a just and good peace just for one. Must be good and just for all, for Palestinians and Israelis. And I think it’s time for the Israeli government and the Israeli people to stand up. We need to translate the resolutions into actions. There is a Palestinian nation and an Israeli nation, and they have to live sharing the land with respect, and that the dignity of the Palestinians equals the dignity of the Israelis. And the freedom of the Palestinians is linked to the freedom of the Israelis from their fears. The security of the Israelis and safety is linked to the safety and the security of the Palestinians, not dependent on the security and suffering of the Palestinians. AMY GOODMAN: And here in the United States you are. Your message to the American people? DR. IZZELDIN ABUELAISH: Yes, and that’s what do we need. If we care about each other, even about your friends, if they are making mistakes, tell them, “This is not good for your interest.” We need to open their eyes. We may be hard and harsh with our beloved ones, from good will. And that’s what I think. We need to open the eyes of the Israeli public, and even if the Palestinian leadership is not committed to say to them, “This is not for your interest.” But also, the road map is the humanity between us, not the territory. You can’t have everything and the other side have nothing. Peace has a price, to be by choice or from the heart. You can, by military ways, succeed for short term; you can force others to accept. But it is not sustainable, and we must look and to find the ways that are sustainable and to protect the future of our children and to put our children as a priority. AMY GOODMAN: Dr. Izzeldin Abuelaish. Three of his daughters and his niece were killed on January 16, 2009, when his home in Gaza was shelled by Israeli tanks. He has just written a book about his life; it’s called I Shall Not Hate: A Gaza Doctor’s Journey on the Road to Peace and Human Dignity. He is currently teaching and practicing in Toronto, Canada, with his surviving children.